The Mets beat the Braves and the Yankees lost to the Red Sox in their respective spring training opening games. Pete Alonso homered on the first pitch he saw for the Mets and Gleyber Torres homered in his first at bat for the Yankees. I gave some early reactions for both teams. I had the chance to cover the David Wells Perfect Game 20th Anniversary in May for WFAN.com. I spoke with Wells, David Cone, Bernie Williams, and other Yankees about that 1998 team vs. this 2018 Yankees team as we draw parallels, talk about the event, and take a trip down memory lane. Check out Sunday’s SportsTalk1240 on AM1240-WGBB. I brought in former New York Jets wide receiver Rob Carptenter to co-host the show with me. Our guest was former All Star NBA point guard Kenny Anderson. Former NBA All Star PG Kenny Anderson joined us to talk Korea, NBA, Knicks, and the Nets need to trade Deron Williams now. Listen in to my guest spot on ESPN Radio 1410AM in Dayton, Ohio with Justin Kinner. I discussed the feel in New York in the final days of Derek Jeter’s career. What comes next for the Yankees? Who replaces Jeter? Has missing the playoffs been overlooked by the farewell tour? Also, I talked about the state of MLB and what needs to change and how the sport can market their players better. 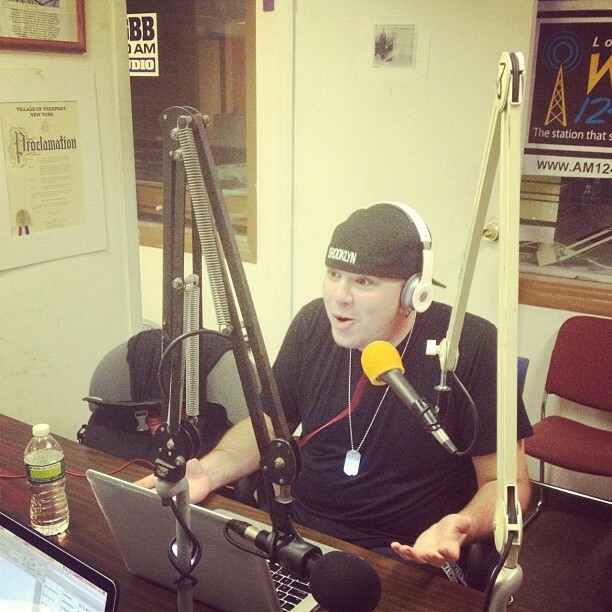 Tune into the podcast from my show Sunday on AM1240-WGBB in New York. On The 5th Quarter in New York Sports, I opened up with my frustration on Ray Rice and his pitiful attempt at an apology Friday in a press conference full of self pity. What did Rice do wrong and how long should he be suspended for his actions against his wife? I then moved on to another debacle on and off the field in New York. The Mets loss Sunday afternoon was demoralizing and they continue to find new ways to lose. Citi Field has been nothing but quiet, and what has happened when fans cheer at the ballpark? What is going wrong with the Mets? What do they need to change to turn things around? Is Terry Collins on his way out? Also, the Rangers were in action in a pivotal Game 4 against the Canadiens. I gave updates throughout the show and also discussed Stepan’s injury, Carcillo’s suspension, and analyzing the Rangers run thus far. Can they make a trip to the Stanley Cup Finals? How big would it be for New York sports? I also talked NBA playoffs. Serge Ibaka made his return Sunday night for the Thunder, which will cause the Spurs plenty of problems. The Pacers loss Saturday puts the series in the hands of the Heat, but Elwood from Indiana called in and disagreed with me. I had to put him in his place. I also break down the Yankees and their series win. They are sticking around in the AL East, but do they need some pitching help with all their injuries? Also, Yunel Escobar and the Red Sox went at it Sunday. Did the Red Sox trigger the debate or is Escobar just a troublemaker? At 34, Josh Beckett tossed his first no-hitter Sunday against the Phillies. To close out the show, I gave out my prediction on who the Knicks next head coach will be. Listen in to a jam-packed show here and download the show on iTunes! The Mets swept the Yankees for a third straight time Tuesday night. Their bats came to life, and they finally put some runs on the board. Can they keep it up and do the same in Queens? Here’s my EmpireWritesBack.com story.